FAQ. All your children's entertainer questions answered in one place. 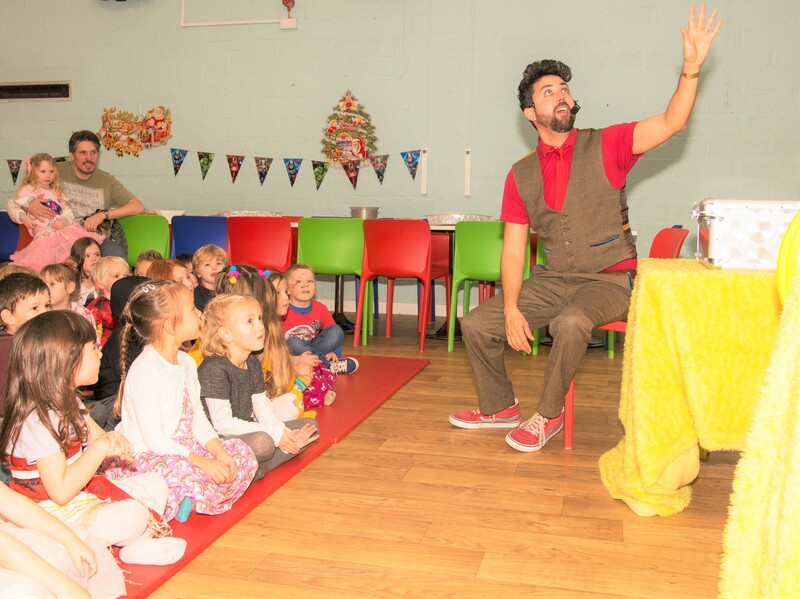 When you’re planning a birthday party and choosing a children’s entertainer there’s lots of questions to be asked! I’ve tried to answer some of the most common ones below. If you still have any questions, or you need to see if I’m available on a specific date, please just give me a call on 07708 763 654 or fill out a booking form. I cover Bristol, Portishead, Bath, Thornbury and everywhere in between! Check my Contact Me page to see my free travel zone. Outside of the zone I charge 40p per mile for travel. If you are further afield and want a Marky Jay party – don’t despair! Give me a ring and I’ll try my best to get to you. 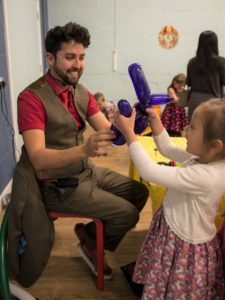 What age range are your children’s parties suitable for? 4 to 7 years old mainly (but the show is very much a family show). I adjust my show for under 4s. Can you perform at our house? garden. I enjoy the challenge! How do I book & pay for a party? 1] Choose a party package and confirm with me the time and date is available. 3] You’re done, your party is booked! I don’t take a deposit. I can send you an invoice in advance if needed. 4] The balance is paid on the day in cash/cheque or in advance by BACS. I can take payment by debit card. Do you offer party bags? I currently do not sell party bags. Not yet! Watch this space. Do you come with my own music and stereo? Absolutely. All you need to do is ensure we have a plug socket for the equipment. I’m also happy for people to bring their own music and plug into my PA. A personal playlist of their favourite songs is always a winner! Do you have a current DBS check and are you insured? I have a current DBS check and I’m insured through Equity for up to 5 million. I’ll happily email you a copy for complete peace of mind. Parties start from £125. You can find the cost of my three most popular parties on my package and prices page. My prices vary depending on your requirements and travel costs. The best thing to do is give me a quick call on 07708 763 654 for a no pressure chat. Can you adapt your show to a theme? I’m afraid not – The Marky Jay Monkey Magic Party is a solid-gold winner. Is there anything you need on the day? A small table, access to a plug socket, a glass of water (and maybe a slice of cake!) and I’m good to go. I also appreciate a parking space as close as possible as some of my boxes are rather heavy.